As a producer and organizer of live music and cabaret events, nothing irks me more than going to a show and hearing house music that has zero to do with the event. Know what I’m talking about? Sure you do. Ever been to hear your friend’s indie rock band and the sound person blares loud death metal over the system? Or you’re at a reggae show and they’re bumping 90’s techno? Most venues give very little thought to the house music. They usually just let the sound person pick something and that’s it. However if you ask (nicely), venues will let you provide your own. I don’t recommend smart phones for event music as they sometimes transmit static or you can forget that the ringer was turned on and it goes off at an inopportune time. Doh. Burned CDs are the thing to bring. It won’t break your music-loving heart if they get lost, stolen or forgotten about. You’ll have enough to remember at the end of the night—thanking performers, equipment, paying people, merchandise. You might forget your iPod or $300 phone. Also, every venue will be able to play a CD, but not every venue will have inputs for smart phones and iPods. Curate the experience starting the minute the crowd walks into the venue. If you’re doing a night with multiple acts, start out with mellow music. Folks are starting to arrive and socialize and haven’t even had time to get a drink yet. Maybe they’re still feeling a little insecure. Don’t assault them with loud music from the get-go. Let them adjust and feel comfortable. Gently increase the volume with each act to build tension. For the headlining act, consult with the band or performer and see what kind of music gets them pumped, what artists were big influences and whether or not that music would translate to their audience. Many times, in the case of a music event, the music they’ll pick won’t be of the same genre but will complement the music that’s about to happen on stage. I like to pick something that has a driving beat but is fairly simple chordally, so that it builds tension and creates a sort of hypnotic effect. Turn the lights down and immerse the audience. I encourage up to 10 minutes of dark lighting and loud house music. It may seem like forever, but all you’re doing is priming the audience, so that the minute the headliner hits the stage, they’re ready and focused. I usually tell the band to grab a drink or do some stretching during this build-up time. All performers could use a little extra time to get centered. This technique works best for music events, but can also be a great build up for a burlesque show or comedy sets. For theatrical performances, keep the volume down and don’t choose something as driving. Most organizers know their audiences well and what kinds of music will stir their emotions. Just remember to influence the audience’s experience from the minute they walk through the door. A lot of entertainment involves subtly helping the crowd to react in a certain way. House music is an important tool in that process and sadly ignored too often. 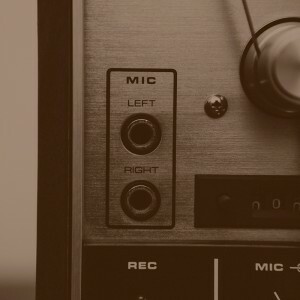 How do you create playlists for your events? Ring in with your tips in the comments. Tags: event planning, house music.